Listening near the tavern bar one cold December day, tales could be heard of the ratskeller below. 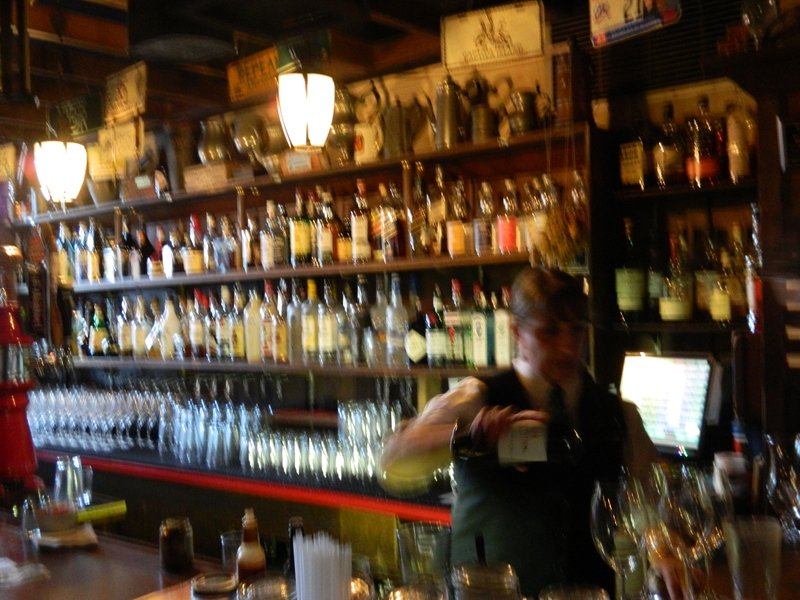 Photo by Jacqueline Bennett The Lion’s Den at the Red Lion Inn in Stockbridge, MA. 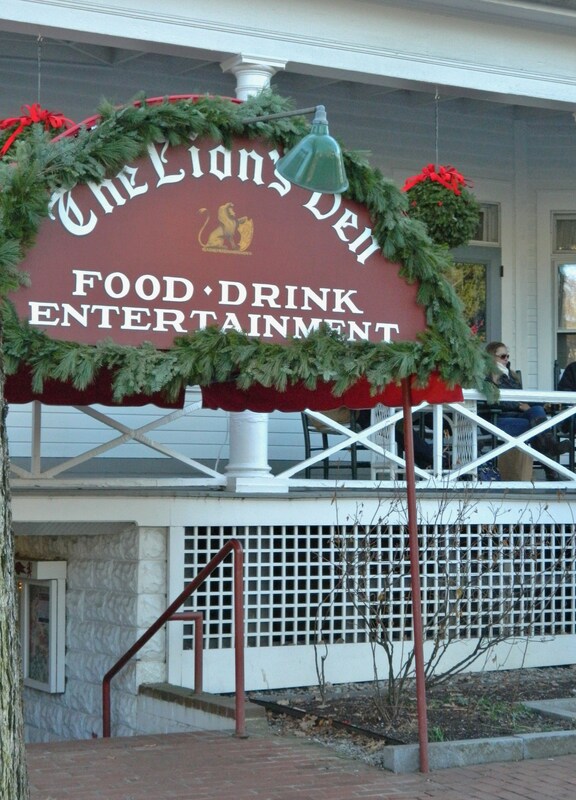 “The Lion’s Den” in Stockbridge, Massachusetts is listed as one of New England’s coziest winter bars in an article from “Yankee Magazine.” Located beneath the Red Lion Inn, “The Den”, as it has been dubbed, can be reached through an exterior entrance and one inside the inn’s Widow Bingham’s Tavern. During a luncheon at Widow Bingham’s Tavern, I overheard some staff express perplexity when a server described “The Den” as a ratskeller, sometimes spelled rathskeller. It is a term at the same time intriguing and off-putting. Any word that contains “rat” is cause for apprehension. The term has its origin in 15th Century Germany, according to what I will call bar-scholars. It apparently combines the concept of wine cellars with, well …. The oldest one cited is Bremen Ratskeller, dating to 1405. So, what the heck is a ratskeller? Quite simply it is a basement tavern. Early on they were found beneath, or nearby city halls. Guess politics could always be cause for a stiff drink. It was during the 1800’s that ratskellers made their way into the American vernacular. Visualize the fictional ‘Sam Malone’ pouring drinks as customers make their way down the stairs into ‘Cheers’, which was based on a real bar in Boston – the Bull & Finch, renamed Cheers after the television series reached iconic status. Ratskellers are far from extinct and can still be found throughout the world. 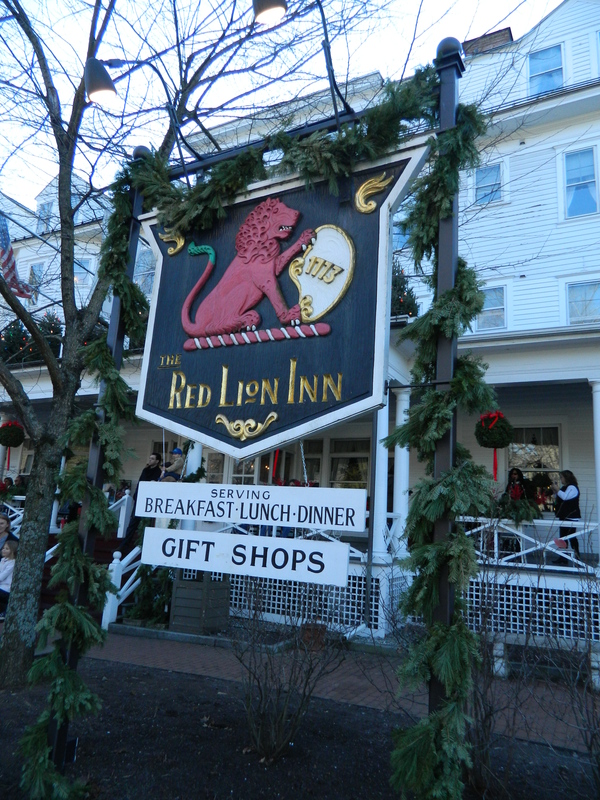 That brings us back to “The Lion’s Den” tucked beneath this New England inn made famous by a Norman Rockwell depiction of Christmas along Main Street in Stockbridge, a quaint town nestled in the beautiful Berkshires. Yankee Mag makes note of the “half-flight down”, 80-year old pub’s promise of live entertainment 365 days a year, brick-red tin ceiling and rosy lighting. Add to that a key element for me, a fireplace. “The Den’s” promises too, “never a cover charge.” And thanks to the food served here, such as the ultimate chicken pot pie comfort food, it is a 2015 Open Table Diner’s Choice Winner. Keep in mind that an underground pub does require one to navigate stairs despite having lifted a pint or two. With a hint of clandestine, clearly this ratskeller creates an atmosphere that makes it an appealing destination while outdoors snow swirls amidst the howl of winter winds.